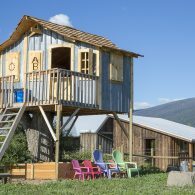 ABC acres is a Permaculture Farmstead in the Bitterroot Valley of Western Montana – as our guest, join us in the adventures of growing and raising healthier food choices while regenerating the world around us. 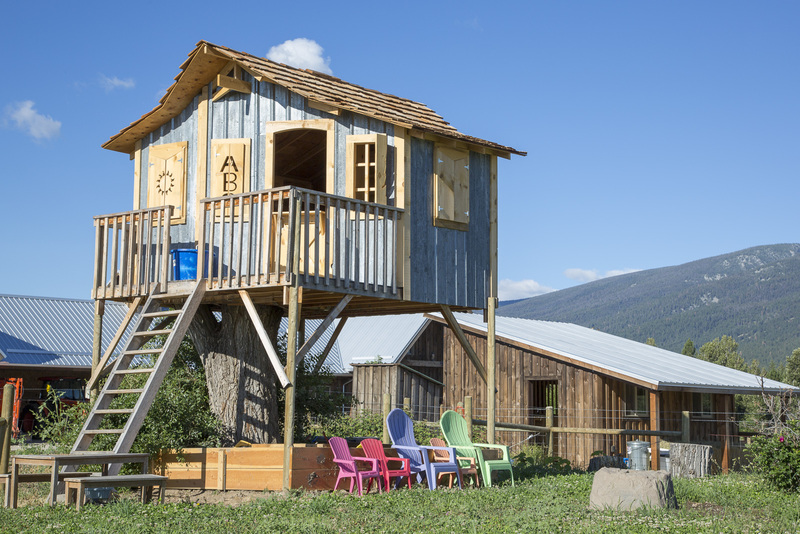 Established in the fall of 2012, ABC acres focuses on sustainable food production, healthy living systems, and regenerative ecological design. Our cattle, chickens, goats, turkeys, and pigs are out on open pasture, eating, resting, and living the way nature intended. 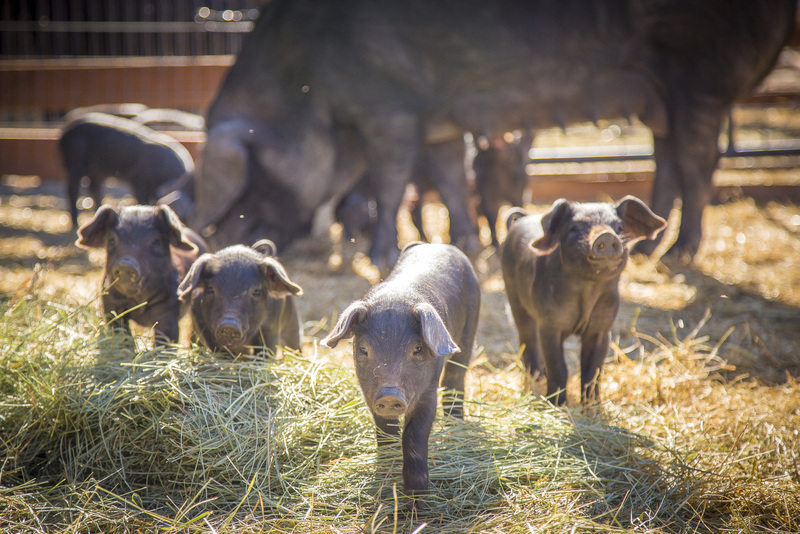 Much like our livestock family, our vegetables, herbs, fruits, and nuts are grown with the same approach. It’s a mixture of annuals and perennials intertwined with pollinator species, companion plantings, and multi-structured food forests. 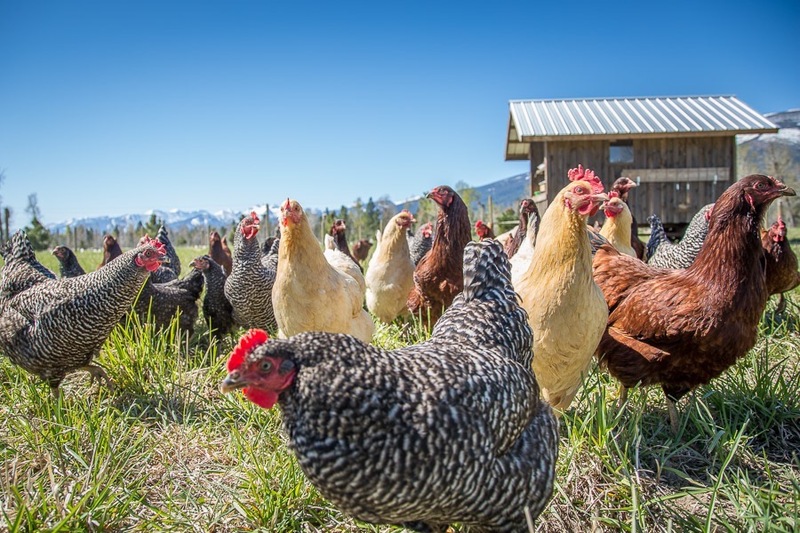 It’s nature’s way…..a way of reducing disease, increasing harvest, and ensuring diversity for an overall healthy farm. In fact, doing things that mirror natural ecosystems is the focus of our operations. 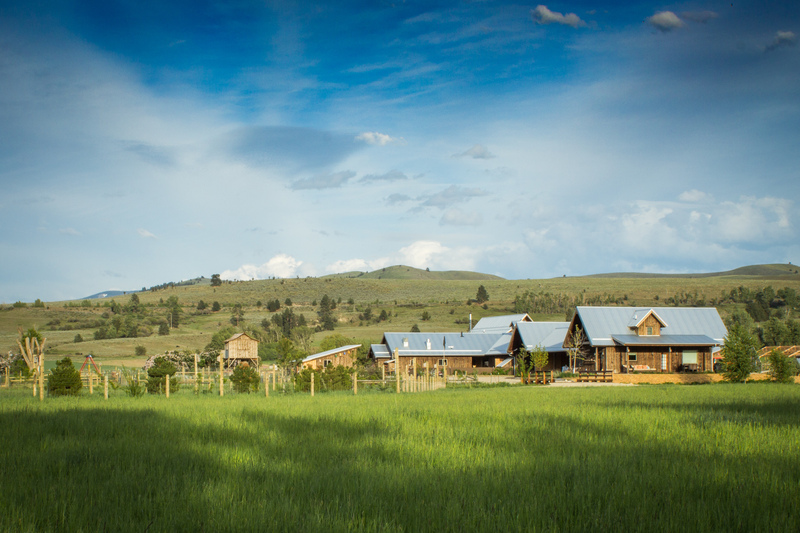 ABC acres presently offers two separate homes for farm stays and vacation rental – the Guest House and the Gate House. The Guest House and the Gate House were constructed with health and wellness in mind for the resident – built with no VOC’s (volatile organic compounds) both inside and out, non-toxic spray foam insulation, HEPA filtration for high quality interior air all season long, and ‘Alive Water’ systems to reinvigorate and re-energize water at all points of use…..these speaking to the underlying theme of healthy environments which pervade throughout the farmstead. The Guest House was built in 2014. 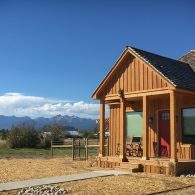 Offering four dedicated bedrooms, 2 ½ bathrooms, comfortable living/dining space, and well-equipped kitchen, the Guest House interior sits at about 1800 sqft. On the exterior, a covered deck along with outdoor dining set and lounge furniture for your relaxation and viewing pleasure. Seasonal strawberry patches situated off the North side, as well as a selection of culinary herbs for use in the kitchen, are all yours to enjoy. 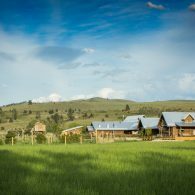 The Guest House is situated in the heart of the farm. 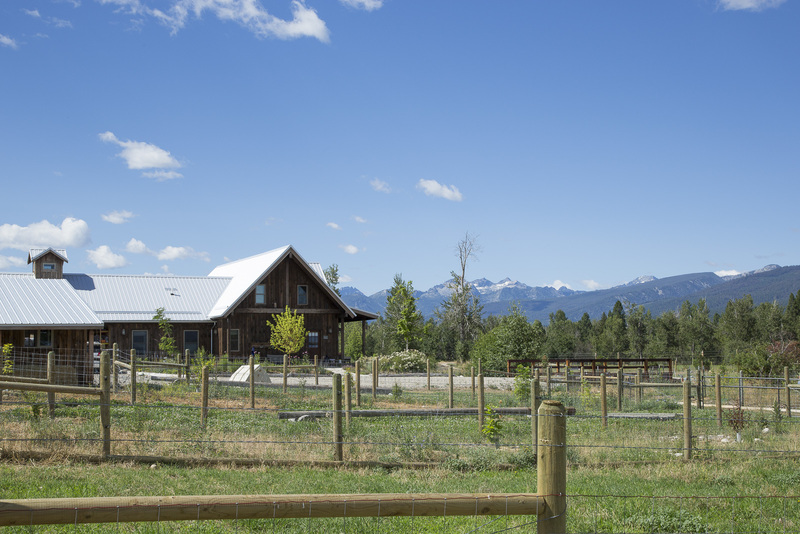 Positioned alongside the seasonal waterway (April to October), the implement shed, and in close proximity to the goat barn, livestock paddocks, and owners’ residence, the Guest House pays witness to many daily activities of the farm. 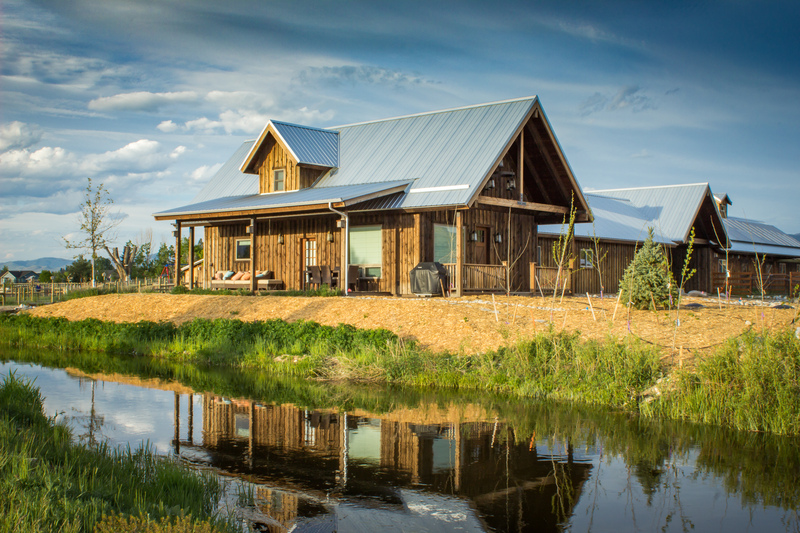 The Gate House, ABC Acres’ newest farm structure (built Summer of 2015), offers two dedicated bedrooms, two full bathrooms, comfortable living/dining spaces, and a spacious, well-equipped kitchen – an interior of about 1200 sqft, plus an attached single-car garage. As for the exterior, the Gate House offers a bit of separation/privacy despite being just a moment’s walk to the heart of the farm. An East-facing front porch if for your coffee and sunrise, a patio on the North side is situated alongside the newly planted fruit orchard, and on the South side a recently added pergola provides shade if for taking in the sweeping Valley views and/or an outdoor celebration….complete with bbq grill, picnic table, and fire pit. These areas are contained within the Gate House’s private, fenced, and dog-friendly yard (home to an all-season/all-weather dog house). Watch as June-bearing strawberries explode, late summer blackberries climb the fence, and fall apples and pears adorn the trees… all fresh/organic edibles for your tasting pleasure. As you settle into your stay, be sure to take in all the sights, sounds, and activities that ABC acres has to offer. Self-guided walking maps will direct you around the property….take time to read the informational kiosks strategically positioned throughout, enjoy a morning coffee or afternoon rest alongside the Crater Garden recreation & picnic area, spend some time photographing the various livestock, watch the honey bees buzzing amongst the diverse plant selection or, better yet, grab a fishing pole and stroll down to the Bitterroot River to try your hand at hooking dinner! As a guest of the farm, many complementary activities await during your stay….it’s just a matter of how you might wish to spend your time. 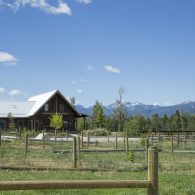 Conveniently located just a few miles South of Hamilton, a short walk to the Bitterroot River, and bordered by picturesque farms and public lands, ABC acres provides an idyllic combination of wide-open spaces, wildlife, and outdoor adventure, while also remaining just minutes from the Valley’s small town happenings and city amenities. 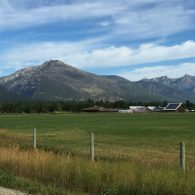 Be it fishing, hiking, or boating…golfing, skiing, or wine-tasting…grocery stores and dining….or rock climbing and hot air ballooning….whatever you might fancy, ABC acres is within its reach. 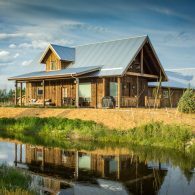 Recognized as a top 6 Farm Stay destination by the Travel Channel 2017. Honored to be a part of The 2017 Great American Farm Tour, hosted by Justin Rhodes (Abundant Permaculture). Abundant walking paths, rest areas, and scenic vistas. Bitterroot River access. 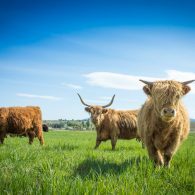 -Livestock and wildlife viewing/photography. Randomly scheduled ‘Movie Nights’, and ‘Fridays at Five’ socials. Crater Garden recreation & picnic area. 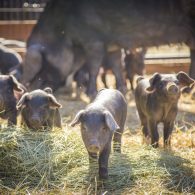 Fresh Eggs, Pasture-raised Beef, Pork, and Poultry Sales. 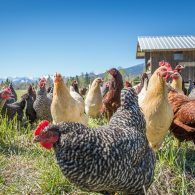 Farm Tours – customizable excursion by foot w/ Farm Manager and/or Owner, visiting multiple project sites and discussing Regenerative Agriculture and Permaculture practices, including behind the scenes interaction with livestock and food production systems. Livestock Duties – join the Farm Manager and/or Owner as you tag along for the morning or afternoon livestock chores. 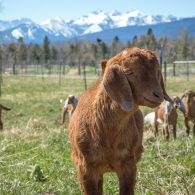 Feed the goats, pigs, chickens and turkeys, collect eggs, refill waterers, spot clean paddocks as needed, and insure the animals are in a comfortable and healthy environment. 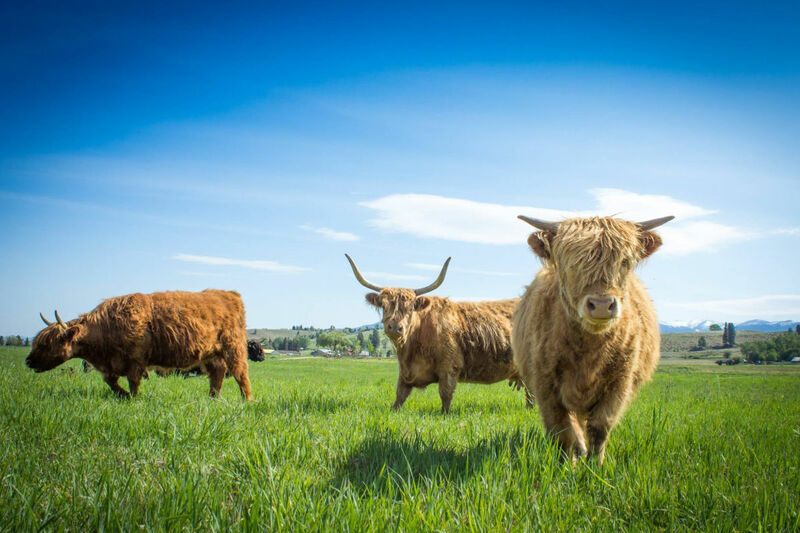 Workalongs – join the Farm Manager and/or Owner for a variety of activities, tasks, and/or discussions, which could include the above livestock duties, harvesting/planting, landscape/project maintenance, etc. 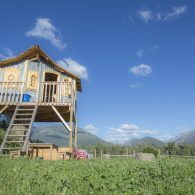 Child & Adult Farm School Programs: access to ongoing activities being offered at ABC acres’ Educational Building, home to seasonal festivals, workshops, classes, and Riverstone School. Scenic Rafting and Boat Trips. Guided Hikes, Mountain Biking, Rock-Climbing. 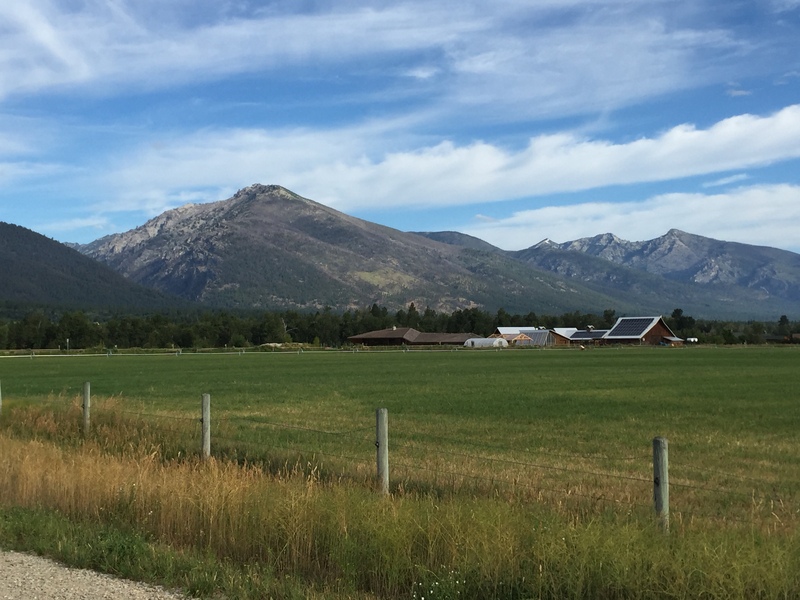 Horseback Riding, Pack Trips, Lessons. Hunting Access and Hunting Guide Services. Professional Photography outings and instruction. Golf, wine-tasting, gun ranges, hot air ballooning, paintball, and much more. Special Instructions: The Guest House was built in 2014. Offering four dedicated bedrooms, 2 ½ bathrooms, comfortable living/dining space, and well-equipped kitchen, the Guest House interior sits at about 1800 sqft. On the exterior, a covered deck along with outdoor dining set and lounge furniture for your relaxation and viewing pleasure. Seasonal strawberry patches situated off the North side, as well as a selection of culinary herbs for use in the kitchen, are all yours to enjoy. 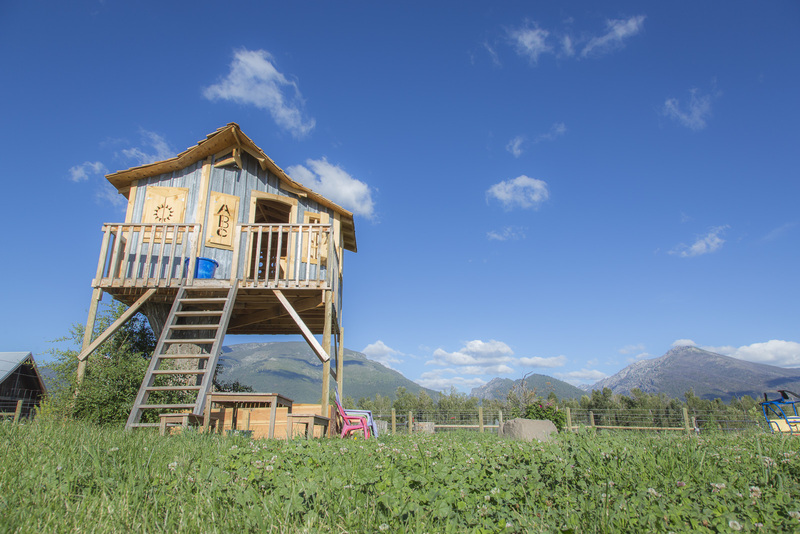 The Guest House is situated in the heart of the farm. 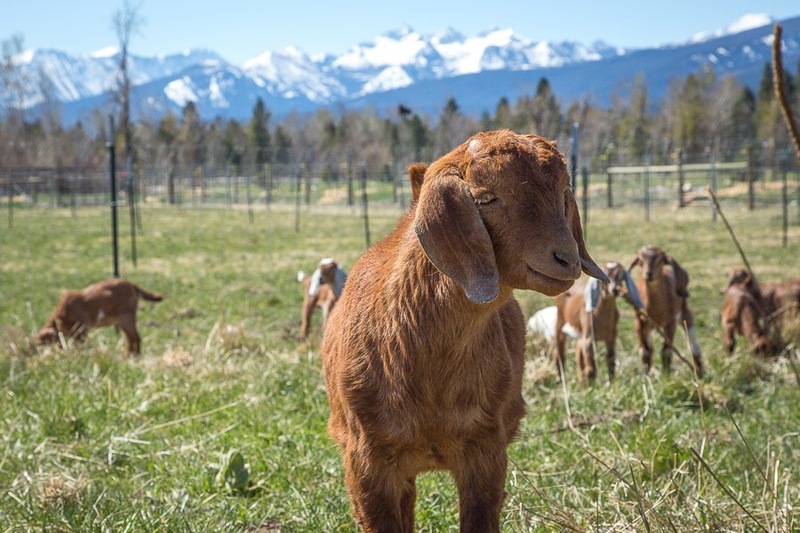 Positioned alongside the seasonal waterway (April to October), the current implement shed, and in close proximity to the goat barn, livestock paddocks, and owner’s residence, the Guest House pays witness to many daily activities of the farm. Instructions: $45 per guest per night, in excess of 5 people. 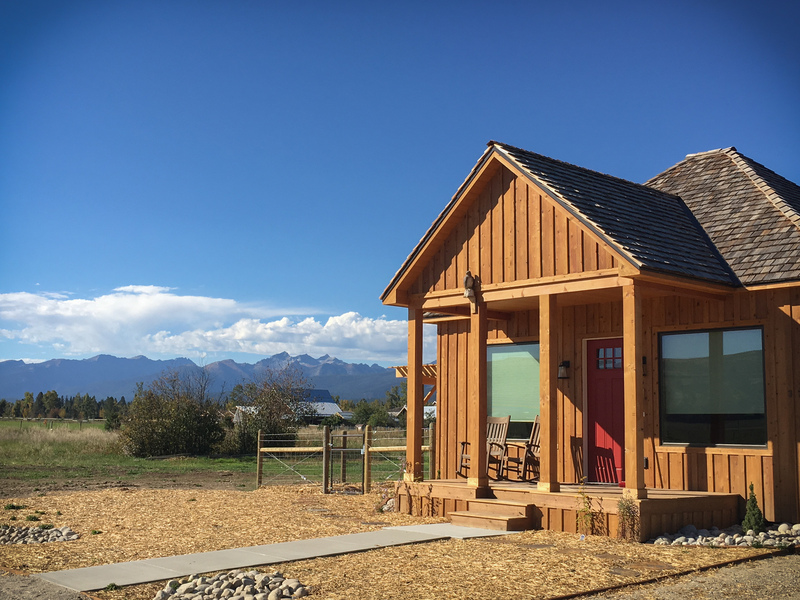 Special Instructions: The Gate House, ABC acres’ newest vacation rental (built Summer of 2015), offers two dedicated bedrooms, two full bathrooms, comfortable living/dining spaces, and a spacious, well-equipped kitchen….an interior of about 1200 sqft, plus single-car garage. As for the exterior, the Gate House offers a bit of separation/privacy despite being just a moment’s walk to the heart of the farm. An East-facing front porch if for your coffee and sunrise, a patio on the North side is situated alongside the newly planted fruit orchard, and on the South side, a recently-added pergola provides shade if for taking in the sweeping Valley views and/or an outdoor celebration….complete with bbq grill and fire pit. These areas are contained within the Gate House’s private, fenced, and dog-friendly yard (home to an all-season/all-weather dog house). Watch as June-bearing strawberries explode, late summer blackberries climb the fence, and fall apples and pears adorn the trees….all fresh, organic edibles for your tasting pleasure.